Toby Creek Adventures - Panorama, B.C. Toby Creek Adventures Canada’s Premier Snowmobile & ATV Adventure Centre is located at near Panorama Mountain Resort in the beautiful Columbia Valley. Toby Creek Adventures is an award-winning snowmobile, ATV and EcoTour adventure tour company operating since 1996 at the western gateway to Kootenay and Banff National Parks in the Canadian Rockies located 30 minutes from the Village of Radium Hot Springs. Toby Creek Adventures is a family owned business and began operations in 1996 running snowmobile trips on the snow-covered Greywolf Golf Course at Panorama Mountain Resort. 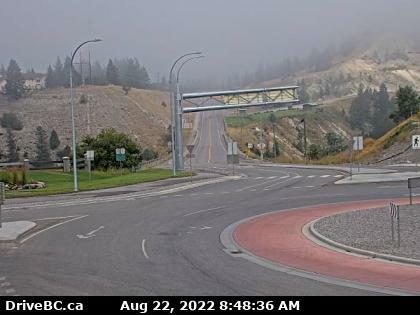 Within a few years they moved their base across the road to what was once the base area for the old Paradise Mine. From that location Toby Creek Adventures began running snowmobile and ATV tours up to the old mine area and Paradise Basin. Snowmobiling is the ultimate all-Canadian adventure activity. Let the Toby Creek Adventures team show you why they LOVE winter. 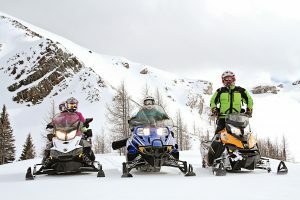 Their snowmobile tours cater to all levels of experience; from first-time recreation riders to veteran powder hounds. Offering suitable tours for the complete beginner to experienced riders. Toby Creek Adventures offer fully guided ATV tours to suit all ages and abilities. 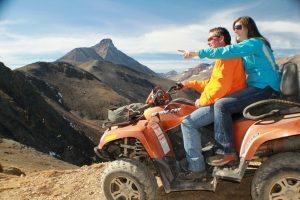 They also provide ATV rentals for experienced riders who do not require a guided trip. Toby Creek Adventures operations base and head office is located at Panorama Mountain Village, near Invermere, British Columbia, they also have an office in Banff Alberta to serve tour guests vacationing in Banff National Park.